MERCEDES-BENZ describes its new generation CLS four-door coupe as an icon reborn. Understandable too, because the original CLS was a pioneer of the four-door coupe concept and went on to prove a benchmark for automotive design. The latest version looks every inch as cool – from its tilted nose and slanting headlamps to its striking LED tail lights. While an entry grade 2.0-litre petrol engine is available boasting both performance and economy, an extra £5k gets you the tested CLS 450 which takes things to an altogether higher level. It uses a new 3.0-litre six-cylinder biturbo engine, featuring Benz’s new EQ boost technology consisting of a 48-volt starter generator and lithium-ion battery. And this system, already a feature of world champion Lewis Hamilton’s Mercedes F1 car, adds a barrel of extra torque to the CLS, actually doubling the car’s pulling power. It kicks in silently to boost performance by an extra 22bhp, enabling the coupe to blast from 0-62mph in just 4.8 seconds and on to a top speed of 155mph via the car’s nine-speed automatic transmission. But that’s not all. 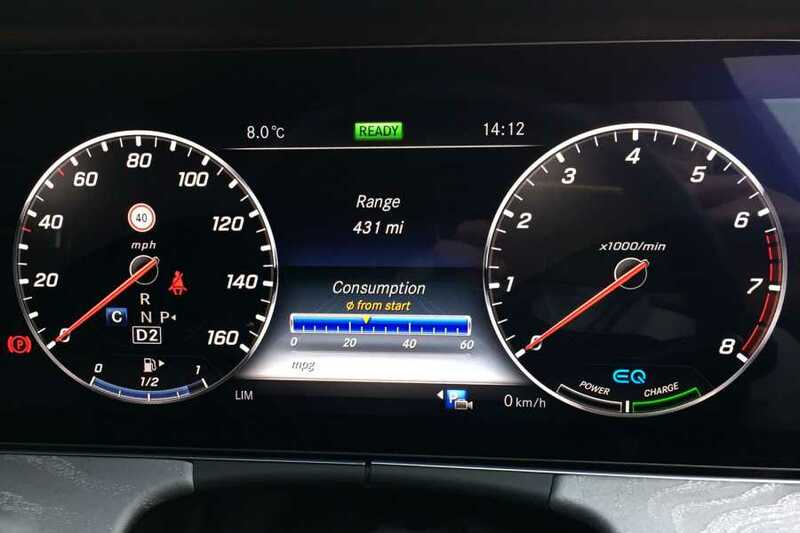 When you ease off the throttle the car can coast without its engine running, the resulting benefit to fuel economy meaning an official average return of 36.2 miles per gallon. 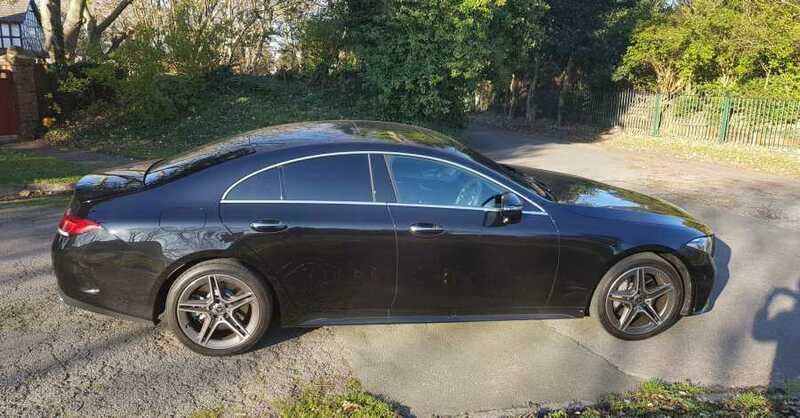 Otherwise the CLS 450 looks identical to both the entry level 350 and 350d diesel models – a desirable, distinguished and classy-looking coupe. Inside, the cabin oozes quality and is available with a hi-res widescreen cockpit featuring a pair of 12.3‑inch displays arranged beneath a glass cover and operated via pads on the steering wheel or the centre console controller. Meanwhile a highlight of the ambient lighting – individually adjustable in 64 colours – sees the illuminated air vents reminiscent of jet aircraft turbines while the sporty impression is also reinforced by the hand-finished appearance of the seats. As for space it’s true that the low sloping roofline compromises rear headroom, though not to the point that two adults can’t sit comfortably in the back. 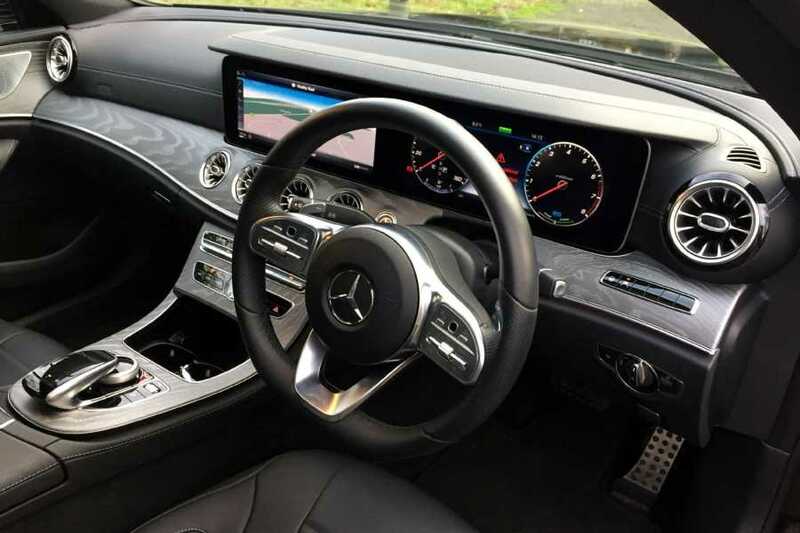 In fact the seats were designed exclusively for this model series, the outer ones in the rear have the same appearance as the front seats, creating a sporty single-seat impression, even though the CLS Coupe is actually a five-seater for the first time. When required the backrests can be folded down in a 40/20/40 ratio, expanding the 520‑litre luggage compartment. 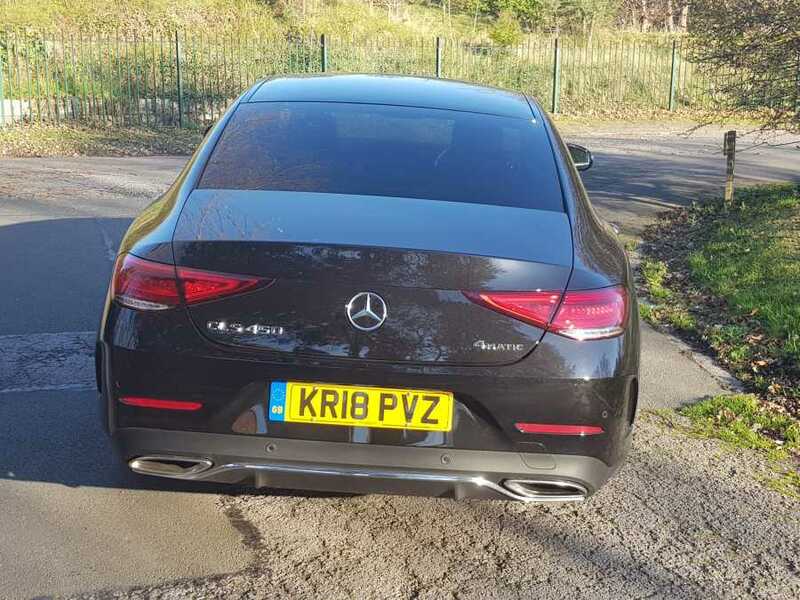 Driving the CLS is a joy, as you would expect for a car starting at just over £53,000 and topping out at a hefty £84,120. Strong, silent and supremely capable, it’s a coupe equally at home in the suburbs as it is commanding the motorway. Making things safer are features from the luxury S-Class in the shape of the latest generation of driving assistance systems including Active Brake Assist, Lane Keeping Assist, Attention Assist, Speed Limit Assist and the Pre-Safe occupant protection system. There are various optional packs as well, two of which are the Premium Plus equipment line for an additional £3,895, which includes Keyless Go comfort package, memory package with electrically adjustable front seats and steering wheel, Burmester surround system, 360-degree camera, Comand Online infotainment system and an electric sliding sunroof. There’s also the £2,495 Comfort package in conjunction with Premium Plus and adding Air Body Control air suspension, energising comfort control package and black nappa leather upholstery. MODEL CLS 450 4MATIC AMG Line Coupe. PERFORMANCE 0-62 in 4.8 secs, top speed 155mph. ECONOMY 28.0mpg Urban, 44.1 Extra Urban, 36.2 Combined. PRICE £58,115 on the road.